The first Beauty Champuru event features stores throughout the prefecture showcasing their products and services. Sunday’s Beauty Champuru combines demos and entertainment. 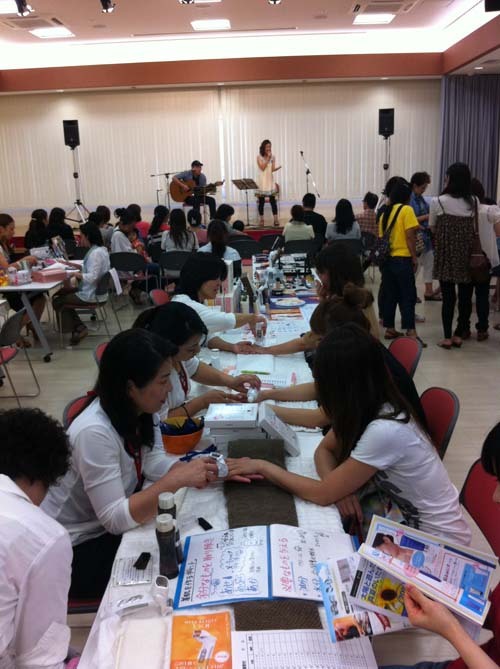 Chanpuru is a beauty event, with beauty, pleasure, and joy as the concepts of the Sunday activities at Okinawa Civic Hall. 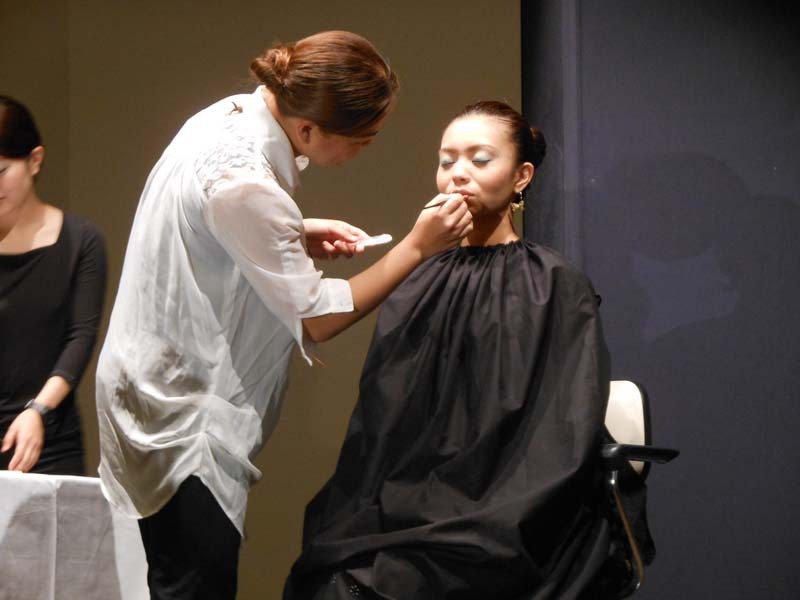 The Beauty Chanpuru is a first-time event, with stores from across Okinawa Prefecture joining forces to present the many activities scheduled for the 10 a.m. ~ 4 p.m. program. Some 26 stores will be operating booths at the Okinawa Civic Hall Medium Hall, 1-1-1 Yaeshima, in Okinawa City. Included will be eating and drinking booths, miscellaneous goods, massage, and Nails, all styles which all visitors can enjoy freely. Since it is taking place during summer vacation, it’s being promoted as a family-friendly event, complete with free child makeup and experience classrooms, aroma candle workshop, etc. Makeup shows and dance show are performed on stage. Advance tickets are ¥500, and ¥700 at the door. Entry is free to kids under 15. For tickets, call 090-7735798. The tickets are only for entrance. All purchases are separate. Food and Beverage booths are prepared outdoors, offering a popular hamburger shop, a cafe, and other shops found within the prefecture. The lottery in which a visitor can get a gorgeous premium will be conducted at the end of the Beauty Chanpuru. Although this event is a female-oriented event fundamentally, it is open to men and children. Different shows run during the Beauty Chanpuru. The Zumba Show is at 11 a.m., the Rhythmic Sportive Gymnastics & Jazz Dance Show begins at 12 p.m., the Naris Cosmetics Make Up Show at 1 p.m. and the Belly Dance Show begins at 2:30 p.m.